It's really neat to see something like this happening, hopefully they raised lots of money. I like all of the different passenger cars, they're all really neat! Passenger service on the E&N railway has been suspended until further notice. The railway on Vancouver Island has deteriorated enough to the point that the trains have to run so slow that it's unpractical to even run the service since it can no longer keep up with the schedule. The rail needs at least $15 million in Federal/Provincial funding in order to cover repair costs. Such a shame, since there is so much potential in that rail line. Nobody wants to do anything with it though. Here's A-Channels view on the situation. Port Alberni news story of a rail-fan trip to Port Alberni. - they're kinda like ferry-nerds, but more accepted by the general-population. Click on the link for 3 images. METRO VANCOUVER - An early morning crash between a barge and a train bridge has disabled the rail link between downtown New Westminster and Queensborough. At approximately 4:30 a.m. today a tug boat hauling a load of gravel struck part of the swivelling structure causing extensive damage. The bridge "could be down for considerable time," said New West Police Sergeant Gary Weishaar. He said the extent of the damage is not yet known, but the Coast Guard and police are on site assessing the problem. Nobody was injured in the accident, the officer said. The railway companies have been notified about the accident, he added. The rail bridge is located 200 metres east of the Queensborough bridge. The trestle rests on a central stationary pivot which grants passage to river traffic but closes to allow trains to cross when necessary. NANAIMO, B.C. — British Columbia Premier Christy Clark helped get a Vancouver Island rail line back on track Tuesday by announcing $7.5 million in provincial funding toward necessary improvements to the line. But the provincial funding is conditional upon the final bridge inspection and on the federal government kicking in about the same amount. Clark told a gathering of Vancouver Island mayors and other elected officials in Nanaimo that $500,000 of the funding will go to the Island Corridor Foundation (ICF) to complete an engineering inspection of roughly 40 rail bridges on the route. "The remaining $7 million is conditional on the foundation getting matching funding of $7.5 million from its partners and demonstrating that the rail link is indeed safe," Clark said. The Island communities, which own the track through the ICF, have been lobbying for $15 million from the federal and provincial governments to fix badly damaged rail ties before they can run passenger trains again. Passenger service was suspended for safety reasons in April. The 130-year-old track, which runs 225 kilometres from Victoria to Courtenay, is seen by some as a key transportation corridor and the site of a potential future commuter rail service in Greater Victoria area. Island Conservative MPs James Lunney and John Duncan have said they are attempting to secure federal funding. Clark has said she has discussed the issue with Duncan, the federal aboriginal affairs minister, and expects Ottawa to be at the table. Mary Ashley, ICF co-chair, called the announcement "the most important moment in the history of the railway in the last 150 years." Not sure why no one has posted any discussion on this, yet, but here it it: looks like the E&N might be getting (some) help. I know some people were discussing it on the Mill Bay tour, and wondering how a 'developed' nation like Canada could let a segment of infrastructure literally rot for lack of due maintenance, but railways are fickle things, in that sense, in that they are always only maintained for the level of traffic that they actually move. Never mind that an under maintained rail line has no real chance of growing its traffic. Anyway, it seems that in a lot of cases, being a developed nation mains being an incredibly wasteful one as well. The B.C. government will spend $7.5 million to restore passenger rail service on Vancouver Island, Premier Christy Clark announced in Nanaimo on Tuesday morning. The commuter service along the old E&N route was suspended a few months ago because of safety concerns over the tracks and trestles that had fallen into disrepair. Some freight trains still use sections of the tracks with speed restrictions, but $15 million worth of restoration work is required on the trestles and rail bed in order to restore the full passenger service. "Today the province is stepping up with $7.5 million to help return this train service to island families and communities," said Clark. The provincial funding is dependent up on the operators of the line securing the other $7.5 million for the restoration project, likely from the federal government. Before the announcement NDP MLA, Leonard Krog said a partnership between First Nations and local governments along the line called the Island Corridor Foundation has done a great job keeping the historic railway alive. 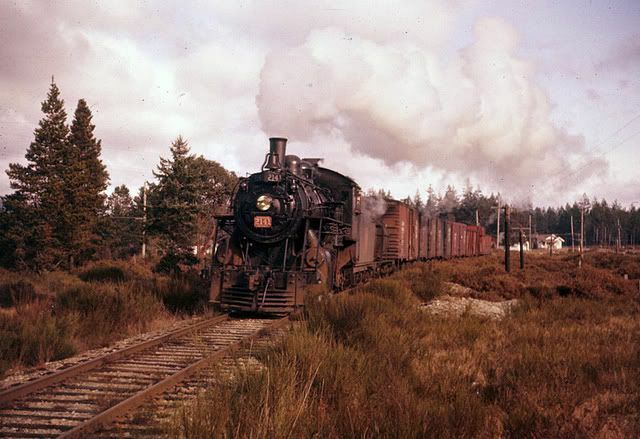 The E&N railway — once known as the Esquimalt and Nanaimo — has a long history that dates back to 1871, when the federal government agreed to build a railway as part of the colony of British Columbia's decision to join Confederation. The line, which is now officially called the Southern Railway of Vancouver Island, runs from Victoria north through Nanaimo to Courtenay, with branch lines to Parksville and Port Alberni. In recent years, however, the route has changed hands several times as a range of companies tried and failed to make it profitable. The once daily passenger service was operated by VIA Rail. 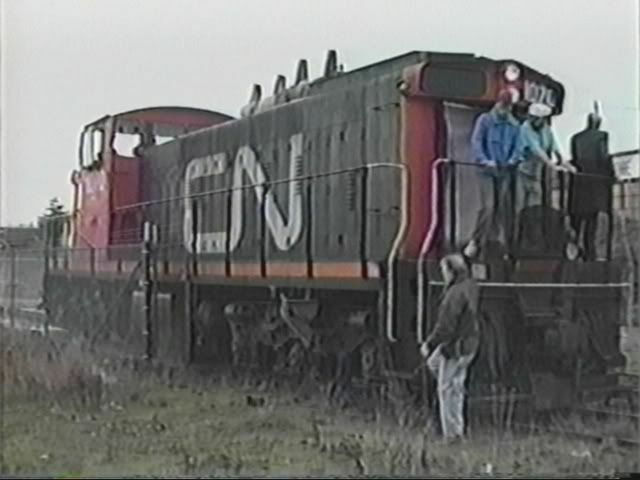 In 2006, the route was donated to the Island Corridor Foundation, a registered non-profit foundation created by local municipalities and First Nations to preserve the rail corridor. In 2008 Transportation Minister Kevin Falcon announced a half-million-dollar study to look at the options for commuter rail and freight on the historic route. The route still contains several historic trestles and railway stations, but Krog says it is not just the historical value that makes it worth preserving. "The railway is not just a sentimental thing for Vancouver Islanders. We see it as a very important part of our future economy and particularly for folks Nanaimo and south — a huge potential," said Krog. Wait a minute...?? $7.5 Million?... Isn't that only about half of what the estimated cost of rebuilding the railway was put at before the province made this spending announcement? Oh, we're waiting for Ottawa to 'step in'. Premier Christy Clark pledged Tuesday to help get the E&N Rail line back on track by announcing $7.5 million in provincial funding toward track improvements. But the money is conditional. An inspection of bridges along the line must be completed and the federal government must give similar funding. 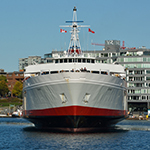 Graham Bruce, Island Corridor Foundation executive director, said if the federal contribution is announced soon, passenger service could resume by mid-October. "I am delighted to announce that the province will provide $7.5 million in funding to the Island Corridor Foundation," Clark told Vancouver Island mayors and other elected officials gathered in Nanaimo. "Now $500,000 of that will allow the foundation to complete an engineering inspection of approximately 40 rail bridges along the way. The remaining $7 million is conditional on the foundation getting matching funding of $7.5 million from its partners and demonstrating that the rail link is, indeed, safe." View Royal Mayor Graham Hill and Oak Bay Mayor Christopher Causton were among capital region officials at the gathering. Both expect the federal government to offer support. "I'm feeling pretty good about it," Causton said. "I don't think the premier would have gone ahead with the announcement without some knowledge that they were going to be backed." "We are hopeful that will be happening shortly," said Graham. Island communities, which own the track through the foundation, have been lobbying for $15 million from the federal and provincial governments to repair damaged rail ties so that passenger trains can run on the 130-year-old track again. Passenger service was suspended in April because of safety concerns about the track. The rail line, which runs 225 kilometres from Victoria to Courtenay, is seen by some as a key transportation corridor and part of a possible commuter rail service in Greater Victoria. Island Conservative MPs James Lunney and John Duncan have been trying to secure federal funding. Clark has said she discussed the issue with Duncan, the federal aboriginal affairs minister, and expects Ottawa to be at the table. Lunney was at the Nanaimo gathering and nodding when references to federal funding were made. Bruce said the $15 million is needed to improve the rail line. Other initiatives such as running a peakhour pilot commuter service between Cowichan and Victoria, and Victoria and Langford, will require their own funding plans, he said. "Just like any transit system there's got to be funding players in all of that," Bruce said. "There may be and quite likely will be other involvement by federal and provincial governments depending on what it is that we are looking to achieve." With its funding, Clark said, the province expects the corridor foundation to get people using the train. "They will also find ways to ensure that they are maximizing the number of passengers and the amount of cargo that goes along the line because in the long run for this railway to work people need to use it." Tourism Victoria executive director Rob Gialloreto said he doesn't have hard numbers, but he's sure the lack of a passenger service has hurt Island tourism. "Logic would dictate it would [have an impact]," said Gialloreto. "Especially in the last two years of recessionary times, before the dollar got to where it is now, we had a reliance on domestic and, indeed, provincial tourism traffic to Victoria." Photos taken July 2011, on Highway 19 just north of the Zeballos turn-off. 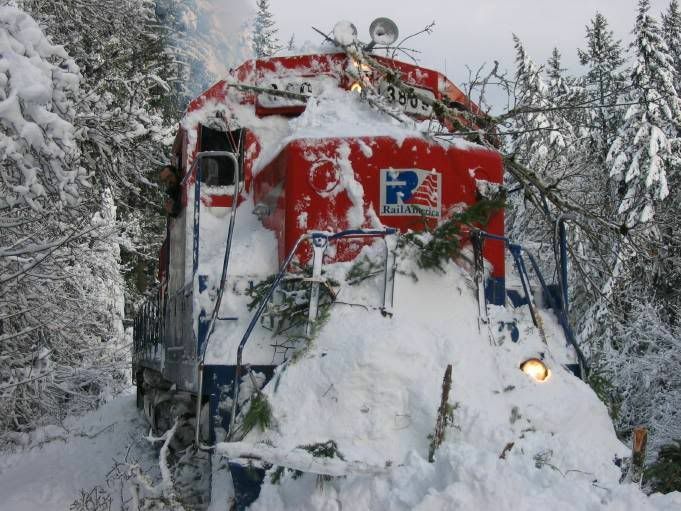 E&N Railway crew busting snow drifts on the Malahat back when it was still being run by RailAmerica. CN's last run to Saanich, still from the video/dvd "Last Runs on Vancouver Island"
A short eastbound freight on the Todd Creek bridge in the Sooke River Canyon. This bridge is now part of the Galloping Goose Regional Trail. Mile 28.1 Cowichan Sub. photo by Dave Wilkie. Short westbound train through what is now the Luxton Fairgrounds. The locomotive, 2141 is now preserved in running condition in Kamloops. The Budd-cars have left Vancouver Island. - they left the island last Saturday (sorry, no photos.....) and who knows when any passenger-rail cars will ever return. Via rail's Dayliners left Nanaimo on a barge headed for Eastern Canada on Saturday, leaving some concerned about the future of rail on Vancouver Island. When Via suspended its passenger car operations between Courtenay and Victoria in March due to track conditions, Graham Bruce, the executive director of the Island Corridor Foundation, began pressing government for the funds to restore the railway. Via will not return with passenger service until track maintenance is completed, but so far, only the provincial government has offered funding for the project, Bruce said. "There's been good discussions going with offices back east in Ottawa, most of it's all done through the Association of Vancouver Island and Coastal Communities," he said, noting that the province has provided $7.5 million that should be matched by Ottawa. "So we're pretty optimistic, but we haven't got that word yet. We need that word." But removing the Dayliners from the Island sends the wrong message, according to View Royal Mayor and director of the ICF, Graham Hill. "I am a bit concerned about the signal that this sends, taking the cars off the Island before that $7.5 million is in place. I think we've got a communications problem," Hill said. "This is not the time to pull the last spike out of Vancouver Island. It was the railways that built Canada. It is the railways that will keep us going . . ."
While Via has only given verbal assurance of its intent to return service to Vancouver Island, the Nanaimo Train Station Partnership reports on their website that Via had committed $869,000 to complete the renovation of the E&N train station. Andre Sullivan, the former president of the Young Professionals of Nanaimo, which helped corral $420,000 in funds raised for the train station during his tenure, said that rail service needs to be seriously considered if only to provide another means to move to and from Victoria. "When you see the accident on the Malahat it becomes so obvious that we need a secondary link," Sullivan said. He added that it would be in the taxpayers' best interest to take the "$7.5-million easy route out" and fix the railway, instead of spending $1 billion on the Malahat. Hill said there is a demand for updated Dayliners, calling for what he described as "living rooms on wheels." "If you're traveling from here to Victoria for business, and you have wi-fi and coffee and you're relaxed in that space you have a very different mindset of traveling and connecting communities than if you are sitting around and driving and pounding and pouring carbon out of the back of the car," Hill said. If the full $15 million materializes, the ICF would be able to replace 104,000 railway ties between Courtenay and Victoria. That amounts to one in three ties, Bruce explained. With many engineering assessments already completed, the ICF has a better idea of the corridor's potential. It's a step toward bringing a new set of Via Dayliners to Vancouver Island, Bruce said. "It's a real improvement, they're going to be first-class. They're hopeful that we'll be ready by mid-spring and we're hoping that if we get everything together then we'll be ready for when the Nanaimo train station will open." Hill's "living rooms on wheels" may become a reality in early 2012. A Via Rail spokesperson could not be reached for comment. 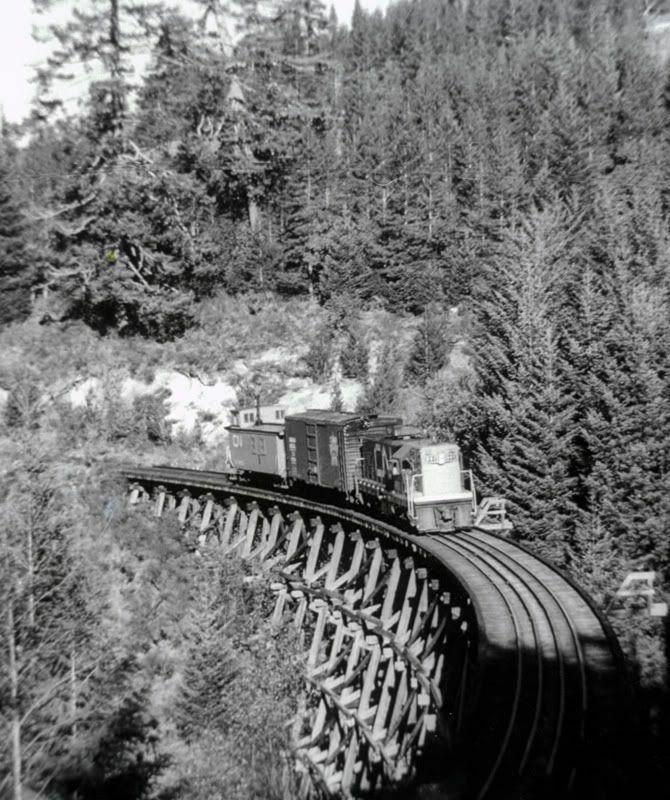 The trestle above Cameron Lake, on the Alberni subdivision. - seen by me on December 4, 2011. The lighting was right, and the shadow was close to the trestle, but not yet touching it. Great news regarding a federal commitment to match the provincial pledge to upgrade the E&N Railway, at least to the extent that passenger service can resume and freight trains can outpace joggers. I'm skeptical that $15 million will replace all the decrepit railbed and repair the trestles and bridges. Apparently the bill for bringing the entire line up to North American standards would be in excess of $100 million, so this $15 million is clearly a band-aid just to get things running again. The expansion of local transit systems has caused Greyhound to cut back to a couple of buses a day in each direction, so there is a real need to serve passenger traffic over the longer haul between Victoria and Courtenay. There seems to be a number of proposals for local and longer runs, and the plan is for trains to be carrying passengers by spring of next year. We'll see. Improved track will also help Southern Railway freight operations, and probably Seaspan Ferries. Let's hope everything works out. I agree, Neil, it is a bit of good news; good news from two governments who have been passing along pretty much nothing but bad news of late. I note that the federal Conservative government opted to slash the CBC, an organization that, like the railways, has been instrumental in binding this country together for decades. As a CBC Radio devotee, I am disgusted with the government's decision! ...as well as Les Leyne's column in the same issue, point to what will no doubt be the first of many revisions of the total necessary to revitalize the E&N Railway on Vancouver Island. I was skeptical from the first that the original figure of $15 million, coming from the province and from Ottawa, would get the railbed operational. That just didn't seem realistic when you consider that virtually every mile between Victoria and Courtenay needed work. There is at least one bridge that is in excess of a hundred years old that needs mega bucks just to carry lighter trains, and needs to be completely rebuilt if full load freights are to be carried. There are many other trestles requiring major work. And all this money- however much it ends up being- is for the sake of carrying one return passenger train a day between Victoria and Courtenay, with another possibly just running from Nanaimo south, as well as an unknown quantity of freight. It's estimated that full restoration of the line could be in excess of $115 million. And that's a first estimate. This thing could turn into an incredible financial sinkhole. How much passenger service could you get if instead you gave Greyhound a subsidy of two or three million a year, or initiated public transit between Victoria and Courtenay? The highway system around Victoria is at times horribly overcrowded, and a rejuvenated rail line could play a valuable role, both for freight and passengers. Further north, though, especially the new highway from Parksville north, you have vast excess capacity available, and a rail line is of dubious value, at least at the price we may end up paying. Rail is undeniably more ecologically friendly than truck freight and buses, when there is the volume of traffic. I'm not sure that is the case on Vancouver Island. A subsidiary of the Southern Railway of BC, the Southern Railway of Vancouver Island handles what little freight traffic there is. This Flickr photo site (Vancouver Island Group) has some recent photos of rail freight activity on the former E&N. There is not much freight moving, but there still is some. "You should Ask yourself What would happen if Everyone did what you are doing". Thanks to a fellow named ENR3005 I found the following link on railfan.net, E & N forum. The article, originally appearing in the CRHA periodical "Canadian Rail", is a detailed description of intermodal (truck, barge, and rail)marine operations in the Strait of Georgia circa 1967. I found the article full of details and excellent photos. Although the main focus is on coastal operations there is brief discussion of the railways' inland lakes operations. Oh my, this pdf is a gem. Thanks very much for posting that. - I've copied this link to a few other threads on our forum, re rail barges and CP, etc. A new thread, for any rail on Vancouver Island. I guess I can contribute a few photos to this thread! With the threat of closure very real, I've been making a real effort to capture as much of the remaining E&N activity as I can. I regret in the past of not taking more photos of the CP era, of not taking ANY of the RailAmerica era (even though I lived right beside the line for 6 months! ), none of the Pacific Wilderness trains. Luckily, I decided a year or so before VIA left the island that I should start taking photos of the RDC's, so I didn't miss out on that. 2) Some of us here can relate to the great-efforts made to capture a desired angle. I know of one ferry photographer who also used a rubber raft (purchased just for the occasion) to paddle out to shoot the ex Queen of Vancouver. 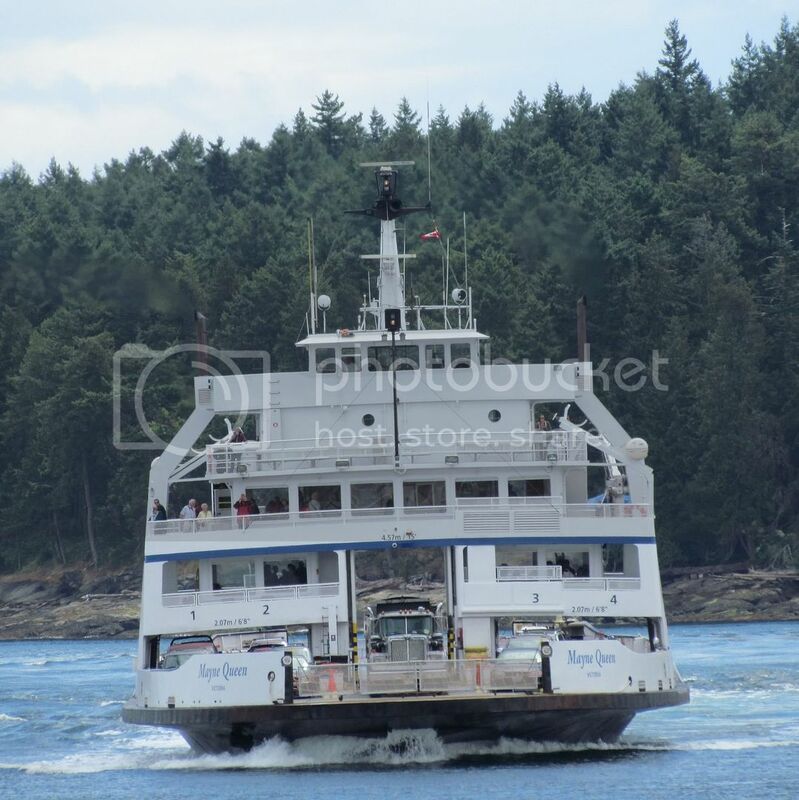 3) Your Vancouver Island rail photos are greatly appreciated. Thanks for posting them here, and please keep them coming. - Thanks for sharing your interests and results with us. Similar to you and your Vancouver Island urgency, I am making sure that I take plenty of footage of various soon-to-be-retired ships. Thanks for your comments! It's always fun when you have to do something extra to get a certain photo. One of my favourite local photographers is the late David Wilkie, some of the things he did to get a photo is legendary!